Daily Times writer Babar Ayaz calls upon the Pakastani elite to accept the hard reality that Pakistan is a multi-ethnic state and that denying that is one of the primary reasons for the political problems of Pakistan. Interestingly, the two best books written on Sindh in the last few years have been the works of two writers who are ‘Sindhi by option’ and not by accident. I think this term — Sindhi by option — needs to be explained because it puts the political, social and economic role of the post-partition migrants in Sindh into perspective. I think Sindhi by option explains the position of people like me, whose parents migrated to the province from India or other provinces of Pakistan and do identify themselves with the just causes of Sindh, even if their mother tongue is not Sindhi. ‘Sindhi by accident’ are those people who were born into Sindhi speaking families living here now for many, many years. Only genuine democrats identify themselves with just causes whether that serves their personal interest or not. To be objective, one has to rise above one’s own ethnic, religious, class and race interests and support the right causes even if it hurts one’s own interests. Incidentally, both books have been written by Marxist democrats, Syed Mazhar Jamil and Tanvir Tahir Ahmed. In their younger days, they had been at the forefront of the workers, democracy and provincial rights movement. Syed Mazhar Jamil wrote Jadeed Sindhi Adab, which was published in 2004. It is a history of Sindhi literature. Although the book’s title says Jadeed Sindhi Adab (which means modern Sindhi literature), it covers the history of Sindhi literature from the Vedas to the writings of modern writers. It is such a detailed work that it has been acknowledged as the major contribution by Sindhi intellectual luminaries like Ibrahim Joyo. Though there are over 14 Sindhi literature histories published in Sindhi and Urdu and four books in English, Mazhar Jamil’s researched work on Sindhi literature, which is in Urdu, has been accepted by most leading Sindhi writers as one of the best contributions. More recently, in 2010, came the research dissertation of Tanvir Ahmed Tahir, Political Dynamics of Sindh, 1947-1977, for which he was conferred a doctorate. As a true Marxist, Tanvir first dilated on the theory of ethnicity as it puts the political dynamics of Sindh in the right perspective in Pakistan. He then moved on to apply it throughout the book. Denial of the hard reality that Pakistan is a multi-ethnic state is one of the primary reasons for the political problems of Pakistan. This is not only true for Sindh but also for all other smaller nationalities. The issue is not confined to Pakistan. In many countries, the rise of ethnic politics is changing their political equilibrium. The rise of local middle and business classes has increased the demand for more autonomy in most countries and has given popularity to local leadership. We have seen this in India and even in developed countries like the UK where Scottish and Welsh aspirations had to be given space in the oldest parliamentary democracy in the world. This process has also forced the bigger parties that have voters across the ethnic divide to make coalition governments with regional parties. The ethnic parties, which in some cases are called regional parties, have been thus put in a bargaining position whereby they claim more autonomy. Tanvir has alluded to this fact, quoting Tom Nairn who, in his analysis of Britain’s ethnic problem, argues that “even development of capitalism necessarily produces nationalism because development always comes to less developed peoples within the fetters of the more advanced nations and bourgeoisie”. Tanvir has traced the roots of modern Sindhi nationalism to a strong separation movement that was spurred after the “annexation of Sindh with the Bombay presidency” by the British government. He says, “The demand for separation was based on the argument that Sindh had a distinct cultural and geographical character.” This movement was eventually successful. Then he has documented the reasons behind Jinnah and G M Syed’s rift over the central Muslim League leadership’s interference in provincial matters. Soon after Pakistan was made, the Sindhis were deprived of Karachi, which separated from the province on the eve of the creation of the country. It was the most important port city of the province. 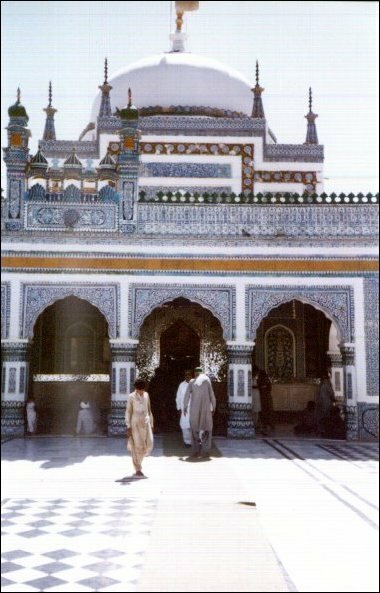 Contrary to the expectation of the Sindhi elite and middle classes, the benefits of Sindh’s inclusion in Pakistan did not flow to them and, instead, in those initial days it was passed on to the migrants from India. Both the top professional jobs and properties left by the Hindus who migrated to India were bestowed on the migrants from India. Tanvir’s research has provided a solid basis to the perception that smaller nationalities in the country, in those initial days, were dominated by Punjabis and migrants (mohajirs). This feeling of deprivation fuelled Sindhi nationalism throughout, which was at its height during the movement against One Unit. While dealing with the history of One Unit, Tanvir has revealed that it was also on Mr Jinnah’s agenda and was advocated by Nawa-e-Waqt and Dawn in 1948. He has also presented the history of Sindhi politics in the light of the class struggle in the province — the rise of Sindhi feudal classes as a result of land allotted by the British once Sukkur Barrage was constructed. Tanvir has also explained the MQM phenomenon in the right political and economic context in his dissertation. These research based books by Mazhar Jamil and Tanvir Ahmed should be included in course books at the college level in all the provinces so that other nationalities in Pakistan have a better understanding of Sindh. Similarly, we should have objectively-written books on other provinces as part of the syllabus in Sindh. Many Pakistani intellectuals often lament that there is little understanding and fusion of different nationalities living in Pakistan. Well, there has been some fusion through inter-marriages and social and economic interaction between the peoples of Pakistan, but this has happened perforce without any proactive support from the policy makers. Our students are not taught anything about writers and the history of all the nationalities living in the country. And yet we want assimilation of all cultures and ethnicities in our so-called Pakistani nationalism.